Concerns about climate change, primarily driven by the use of fossil fuels, have driven exploration of renewable and sustainable sources of energy. Biofuels obtained from biomass-based resources are potential options to replace gasoline and diesel as transportation fuels. 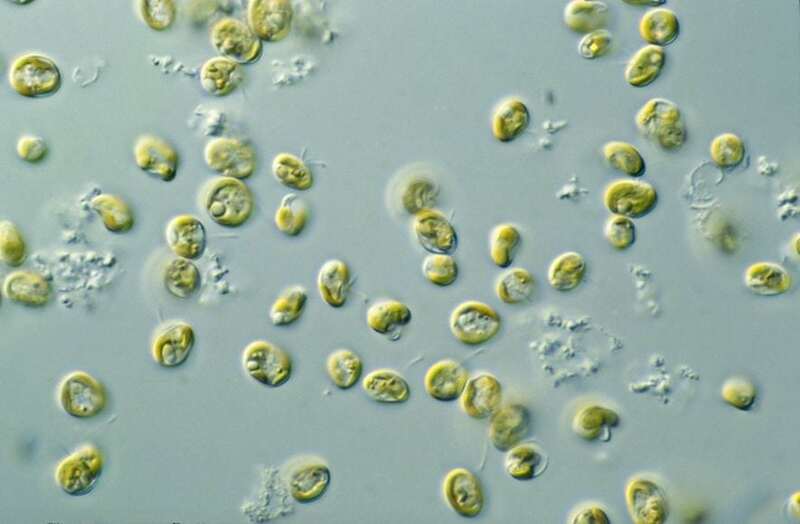 Microalgae are promising biomass sources on account of their high productivity, adaptability to diverse environmental conditions, ability to sequester carbon dioxide, and utilize wastewater as a resource. However, commercial production of microalgae-based fuel is still not a reality due to techno-economic bottlenecks. To this end, an integrated biorefinery, co-producing fuel, a low-value high volume product, with other value-added products such as protein, reduced sugar, and polar lipid, which are low volume high value, has been proposed. For such an integrated biorefinery, identification of the best combination of design and operational decisions among the alternatives is extremely challenging. In this work, superstructure optimization has been used to address this challenge. An optimization model considering the production of biodiesel along with various value-added chemicals is developed. The various processing stages considered include cultivation of microalgae, harvesting, and drying, lipid extraction, followed by transesterification to produce biodiesel. Lipids may also be fractionated into individual classes. Lipid extracted microalgae may be used for extraction of protein and reduced sugar. The constraints of the model include a mass balance among the various steps, along with equations governing equipment sizing, process synthesis, and economics. Amount of solution and quantity of biomass cultivated are some of the continuous variables whereas the number of equipment and number of batches are examples of integer variables in the model. Selection of alternatives is attained by binary variables. The optimization model is a Mixed Integer Linear Programming (MILP) and is developed in General Algebraic Modeling System (GAMS). The objective is to minimize the net Annualized Life Cycle Cost (ALCC) of producing a fixed amount of biodiesel. The model is applied to a scenario with 30 Mg/d production target of biodiesel from phototrophic strain, with an upper bound on the demands for other value-added products. The biodiesel ALCC is US $ 8.53/L and reducing sugar is obtained as a co-product. This ALCC is 35% less than that when biodiesel is the only product of the refinery. Growth, performed in raceway ponds, is the most expensive step, accounting for 74% of the final biodiesel cost. The optimal flowsheet and operating strategy for each step are also recommended. Options such as supercritical lipid extraction and growth in photobioreactors are highly efficient for individual steps but are not optimal from a biorefinery perspective. Several options to further reduce the biodiesel are explored. Co-cultivation of the phototrophic and heterotrophic strains reduces the ALCC by 10.2%. Optimal batch scheduling with infinite intermediate storage coupled with debottlenecking reduces the net ALCC by 25%. The integrated biorefinery is highly profitable if reducing sugar is the main product with unlimited demand. In such cases, a shorter microalgae growth cycle with higher carbohydrate fraction is preferred, and biodiesel becomes a side product. The comprehensive integrated model enables us with an informed decision-making for the microalgae biorefinery. This study, optimization of integrated microalgal biorefinery producing fuel and value-added products was recently published in the journal Biofuels, Bioproducts and Biorefining. Yogendra Shastri is Indian Institute of Technology Bombay Department of Chemical Engineering. His main research focus is achieving sustainable development by balancing the long-term economic, environmental and social objectives. He received his Ph.D. in Bioengineering from the University of Illinois at Chicago in 2007.